The regular season is in full swing and there’s a host of changes in the first VSN Boys’ Basketball Top 20. Mount Carmel, undefeated after two weeks of play, moves 10 spots from 14th to No. 4. McDonogh School also leaped into the Top 10. Thanks to Top 20 wins, Gilman School (No. 14), Boys’ Latin School (No. 16) and Friends School (No. 17) each debuts. Mount St. Joseph and Poly maintain their spot at Nos. 1 and 2 with Perry Hall and Lake Clifton rounding out the Top 5 with Mount Carmel. Here is the VSN Boys’ Basketball Top 20 for week 1. Last week: The Engineers lost to No. 1 Mount St. Joseph, 66-60, in overtime at the William Wells Challenge at UMBC after defeating H.D. Woodson (D.C.) at the Baltimore/D.C. 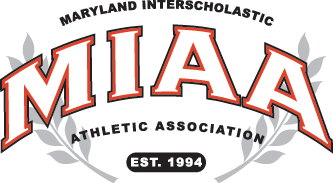 Challenge at Woodson, and Digital Harbor (48-19). Last week: The Gators defeated then-No. 16 New Town, 65-43, and Archbishop Curley, 59-42. Last week: The Cougars went 3-0, defeating then-No. 14 McDonogh School (68-60), then-No. 8 St. Frances Academy (73-71), and then-No. 5 Calvert Hall College (77-70). Last week: The Lakers defeated Theodore Roosevelt (D.C.), 62-61, at the Baltimore/D.C. Challenge at H.D. Woodson after victories over Northwestern (60-33) and New Era Academy (53-33). This week: The Poets defeated Eastern (D.C.), 61-47, at the Baltimore/D.C. Challenge at H.D. Woodson (D.C.) after decisions over New Era Academy (57-41) and Northwestern (63-33). Last week: The Eagles lost to then-No. 14 Mount Carmel, 68-60, after victories over then-No. 5 Calvert Hall College (71-68) and then-No. 10 St. Vincent Pallotti (69-62). Last week: The Patriots went 2-2, losing to Paul VI (VA), 80-52, at the National High School Hoops Festival at DeMatha Catholic and at Gilman School (71-64) with victories over Boys’ Latin School, 64-60, and then-No. 4 Glenelg Country School, 66-60. Last week: The Panthers defeated then-No. 12 Patterson, 86-52, at the William Wells Challenge at UMBC, following a 73-71 loss to then-No. 14 Mount Carmel, and 70-59 victory over Archbishop Spalding. Last week: The Greyhounds placed 6th at the Peddie School (NJ) Invitational Tournament, losing Hun School (N.J.), 67-66 after an 83-65 loss to Peddie School (semifinal) and 80-42 win over Life School Academy (NJ). The Roland Park school opened MIAA A Conference with a 71-64 victory over then-No. 3 John Carroll School and lost to No. 1 Mount St. Joseph, 80-66. Last week: The Clippers lost to then-No. 8 St. Frances Academy, 86-52, at the William Wells Challenge at UMBC, following victories over KASA (65-18) and Digital Harbor (66-39). Last week: The Lakers lost to then-No. 3 John Carroll School (64-60) and then-No. 4 Glenelg Country School (70-55) after a 59-56 victory over Loyola Blakefield. Last week: The Quakers lost to Northeast Academy, 56-47, at the Fred Pickett Classic in Pennsylvania after victories over Chapelgate Christian Academy (61-60) and then-No. 18 Dulaney (55-51). Last week: The Mariners defeated Bel Air, 66-52, and Fallston, 75-63. Last week: The Eagles defeated Meade, 50-46, and Atholton, 60-55.